Phoenix Country Club was the site of the 2006 Awards Banquet and Hall of Fame Induction. With over 110 in attendance, USTA Central Arizona was able to recognize a few people who give so much to our great sport. 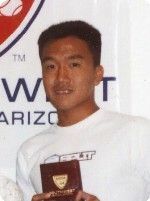 Jerome won the Southwest Adult Open in 2004, ranked #1 in doubles for 2005, won the Southwest Open doubles in 2005. In 2005 he was a semi-finalist in Men’s 30 Grass Courts, semi-finalist in the Southwest Open, and semi-finalist in the Polar Bear Open. Pete is the ultimate volunteer. 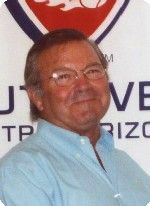 He is a long time member of the USTA Phoenix Board and of the Southwest Board. He is also the Chairman of the Senior Council. He spends many volunteer hours in this capacity. He has served on various committees both locally, for the Southwest and Nationally. Peter is tournament director for several Phoenix Area tournaments on a volunteer basis and does seeding for the Winter Nationals. 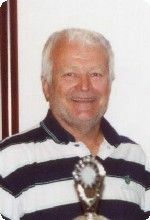 Peter is very knowledgeable of tennis locally, the Southwest and Nationally. There is not enough space to list all the accomplishment these two have. 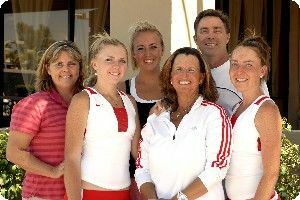 They were tournament directors for the Fiesta Bowl Tournament from 1993 to 1999 and USTA Winter Nationals from 2000 and to continue in 2007. Their combined fundraising for USTA Phoenix programs total over $420,000.00. They volunteer for tournament desks at various tournaments and in 2006 became the Tournament Directors for the Phoenix Junior Open. They have won many awards between them and have been on USTA Phoenix Board of Directors for many years. Together and separately they serve on numerous charitable organizations. Owner of Buterbaugh CPA Firm. Served as treasurer for Phoenix area for 3 years. Teamed with daughter Jamie as Father/Daughter team starting in 2003. Overall National Champions in final year end standings 2003. Second place National Grass Courts, third place National Clay Courts, 2004 National Hard Court Champions, second place in nation based on final year end standings, third place National Indoors. 2005, National Grass Court Champions, third place National Hard court Championships. 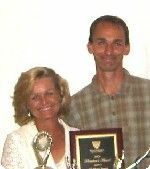 David and Jamie won prestigious LaJolla City Championships in 2003-2004. David was instructor for 1 week at Mac Advantage junior tennis camp, a grass roots tennis program for disadvantaged youth. Head instructor for Mac Advantage Camp. Volunteered and led the camp for the last 3 years. Former Junior Council Chair for Phoenix Area. 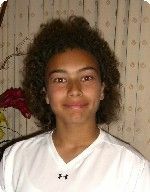 In 2005 5th place with Jamie in Mother/Daughter National Hardcourts, 2003 SW Section Female Player of the Year. Has coached Dave and Jamie to 2 gold balls. Trish has been a USPTA teaching professional for 25 years. See accomplishment with Dave in the Father/Daughter tournaments. 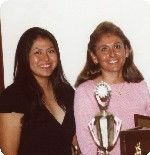 Won Southwest Open Doubles with sister Jessica in 2005. Played college tennis at Gonzaga University as #1 player all 4 yrs. All Conference. Jamie is also a volunteer at Mac Advantage Tennis Camp. Jessica is presently serving as Chair for the Junior Council as the youngest chair ever and on the Phoenix Area Board. A volunteer instructor with family members for Mac Advantage Tennis Camp. Played #1 varsity on High School team. Captain in her freshman, sophomore and junior years. Most valuable player each year. Scholar-Athlete Award winner. Phoenix Area Junior Sportsman Award in 2004 and Southwest Section Junior Sportsmanship Award. Jessica has a 4.00 GPA and on the National Honor Roll. Will be going to College at Bradley University. Her tournament accomplishments are too long to mention. Played #1 doubles on High School Team with sister Jessica. Doubles seed with Jessica at districts. Plays #2 varsity on High School Team. Jordan is on the Honor Roll at High School. 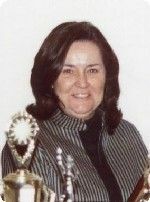 Judi volunteers to run many tournaments. Former Chair of the Adult/Senior Council. She is Director of Racquet Sports at The Village Tennis Club. Very active in promoting The American Cancer Society and personally organized numerous blood marrow drives. 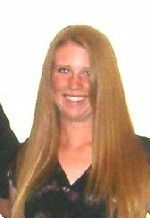 Ranked Nationally 100 in 2006, Section #1 in 2005, State #1 in 2005, Junior Sportsmanship Award 2002, USTA Zonals Sportsmanship Award 2002, #1 or #2 in age group from 2002-2006, 2005 AZ High School Fiesta Region 5A singles champion and player of the year; All-State player, 2006 Fiesta Region singles/doubles champion and player of the year,	National Honor Society and Golden Scholar, volunteer tutor. Was hired at Miami High School to coach volleyball, badminton and TENNIS. She had to read up on tennis as she was not real familiar with it. Winning became a tradition! Players enter 3 invitational tournament plus their dual meets. Cherry runs one of the invitationals, the largest in the state. National High School Athletic Coaches Association – Hall of Fame 2003. NHSACA Coach of the Year 1999. Region Coach of the Year 1989, 1994, and 1999. Arizona Coaches Association Hall of Fame 1994. 21 COY Awards 3A conference. A member of numerous Organizational Committee’s. Honors/Awards too numerous to mention all of them. 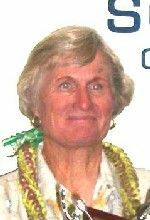 Her Volleyball, Badminton and Tennis teams all have state and regional titles. USTA Central Arizona has recognized Sun Tennis many times for its support of local tennis. This year we are again recognizing Sun Tennis Magazine as our Media Award recipient. Sun Tennis has been published since the early “80s and next year will mark its 25th year of covering tennis news in the southwest. Owners Peggy and Richard Bacon have been at the helm since 1997. Everyone thinks of Sun Tennis as their own tennis magazine. Get involved by submitting your tennis information to be published – better yet, advertise your business or services! Peggy and Richard are available for you! She is ranked nationally 110 Girl’s 16, Section 2 in 2006. Attended team zonals and intersectionals for the past 4 years. 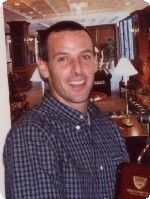 Winner of the Marilyn Byron Memorial Sportsmanship Award in 2004. Winner of Phoenix “Sweet 16”, Jeff Meyers Memorial, and Mesa Fall “Sweet 16”. Won Regionals in 4A as a freshman in 2005 and placed 2nd at State in 4A in 2005. Most valuable player for Notre Dame girls team in 2005. Winner of Kiwanis High School Invitational this year in singles. National Ranking for 2006 142, Section 2, State 2. Undeated at 2005 Zonals. Received Sportsmanship Award for Southwest Team at Zonals. Winner of two tournaments this year, Prices Creamery Sun City Junior Open and Phoenix Spring “Sweet 16”. Undefeated so far leading his Freshman team to an undefeated record. Helped Boy’s Varsity become City Champions. Coach Draper approached coaching as teaching. He believes in teaching the fundamentals and skills necessary to make a player competitive. He has never focused on WINS! He has also stressed the physical activity of tennis should be life long, that a player should fall in love with this sport/activity enough to continue to play after high school is over, even if the college experience is not an option. Judy has been coaching for 33 years. Has had 600-700 players. Off season programs run for junior players – Free summer program on Friday mornings. Free winter programs after school during Oct.-Dec. Number of players that participated in USA Team Tennis Program and Tournaments was 15-20. She builds programs, encourages students to participate no mater what their skills might be. “When it comes down to it, it’s not if you win or lose it’s how you play the game”. Being a good sport has always been important to Alana. 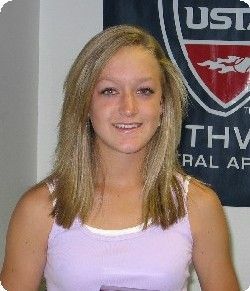 She has been awarded the High Point Trophy the past three years for competition in the Junior Satellite Tournaments. Alana is a member of the Phoenix Symphony Guild, and a member of the Symphonette Ensemble. She plays Timpani and is traveling with the Symphonette Ensemble this summer to Salzburg, Vienna and Prague. Alana also plays the Piano, Guitar, and Bass guitar. Alana is a true fair and square player. Alex began playing tennis at 5 years old. At 8 he wanted to start tournaments and went on a hunger strike until Mom relented. Alex has risen to # 3 in the southwest boys 12’s and 67 in the country. He plays Nationals, Zonals team events, Team Tennis and CTR Regional Championships in St. Louis. 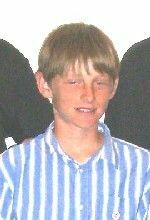 Alex is a straight A student in the 6th grade where he is on the cross country and track teams. Has most knowledge of 1960’s and 70’s rock and roll. Free time is downloading classic rock onto his i-pod and playing his guitar. Kristen is a Sophmore at Desert Vista High School. Began playing tennis at 11 years old. She is an All-Honors student with dual college enrollment at Rio Salado College. Member of the Gifted Student Organization and Member of National Junior Honor Society. Has a career and volunteer interest in Pediatrics. 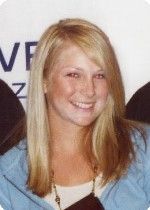 Kristen played team tennis and her team placed second at Nationals in 2004. She is #1 varsity player for her high school team. Was MVP last Season. 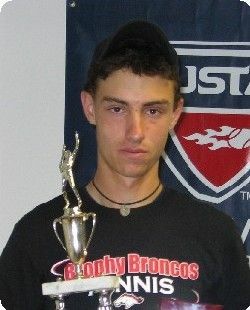 High School	City Winner Singles and Doubles 2006. High school Central Region Champion 2006. In appreciation for all their support of USTA Central Arizona, their generous in-kind donations. Visit Pam & Jesse at the All About Tennis shops in Scottsdale and Mesa.